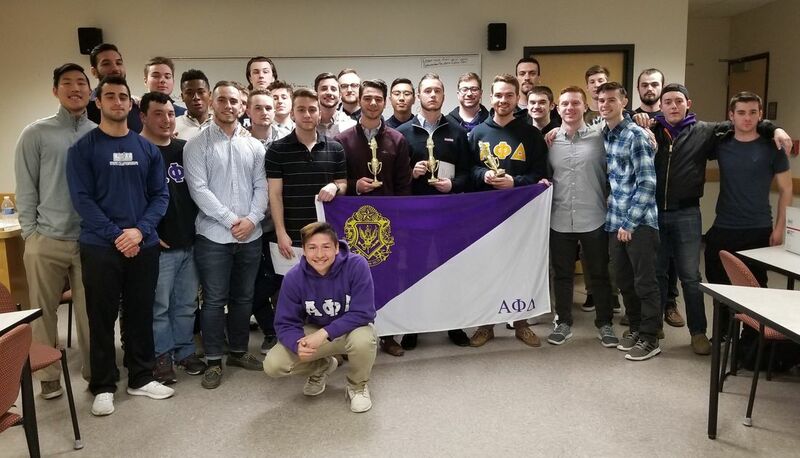 The Brothers of Beta Phi Chapter were pleased to be present as the National Council of Alpha Phi Delta Fraternity, on February 16, unanimously approved its being fully reactivated as a Chapter of the Fraternity. The Chapter, en masse, was called up the floor of the Council to receive a frame certification of the restoration of its Charter. 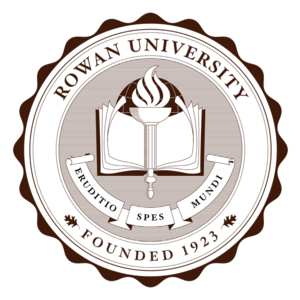 The Council then seated the delegates and voted to enjoin the Chapter as part of the Delaware Valley District. 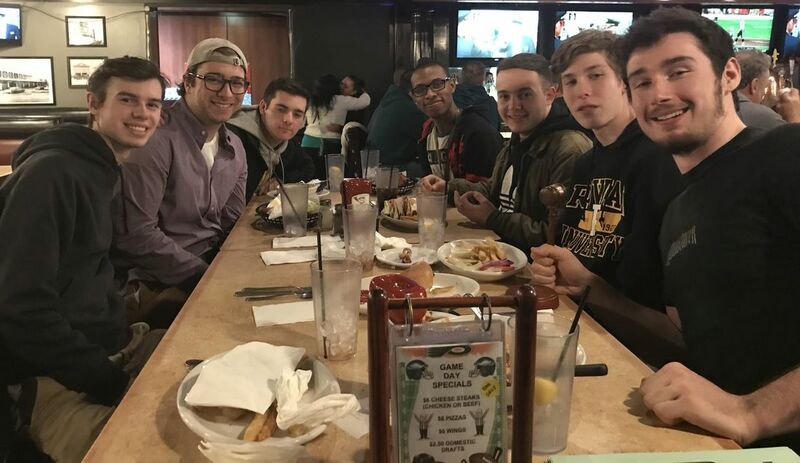 Following this the Chapter members were regaled with the Fraternity Handclap. 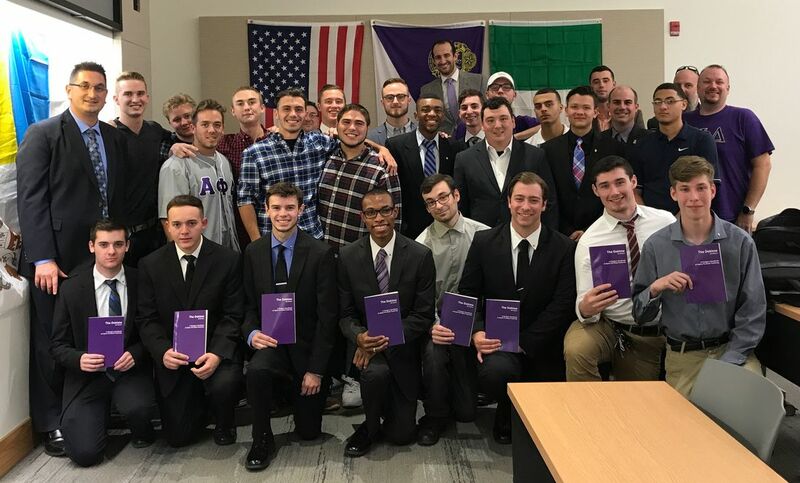 Welcome back Beta Phi! 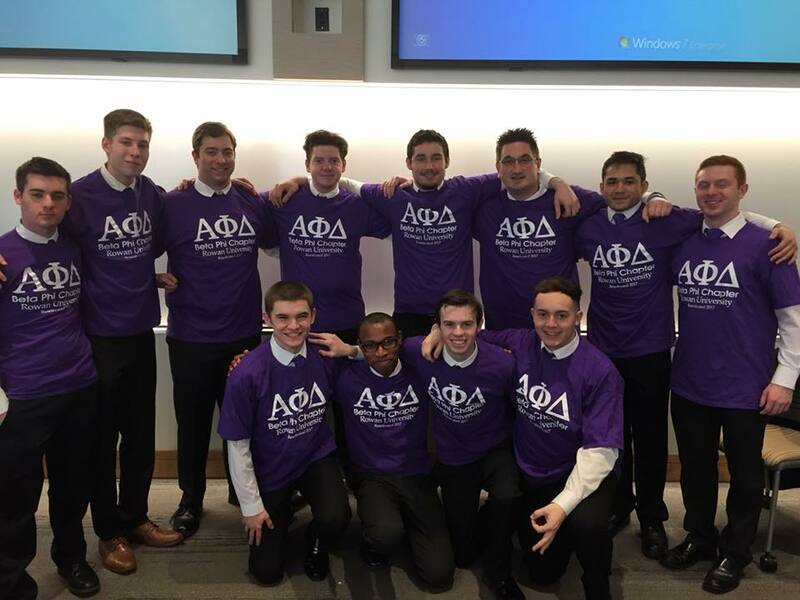 The brothers of Beta Phi Chapter flanked by Zachary Bartolotta, Expansion Chairman (at left) and Fr. Lentini, Del Valley District Governor (2nd from right), and Christopher Mancusi, Project Manager (far right). 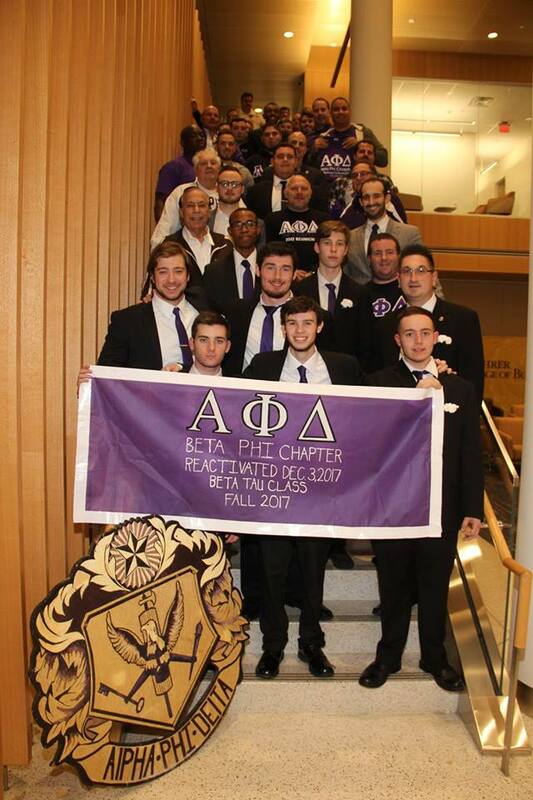 Congratulations to our Beta Phi Chapter on the occasion of its reactivation on December 3, 2017. 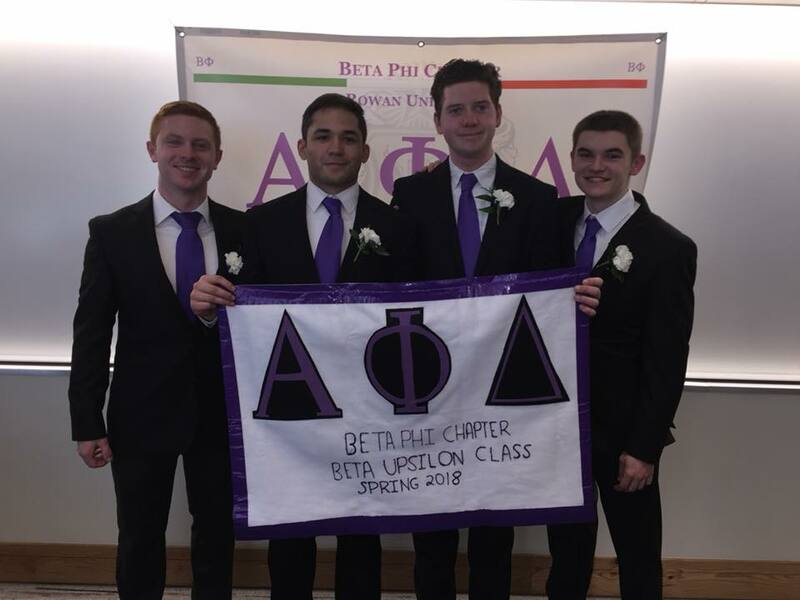 On that day seven students of Rowan University, composing the Beta Tau Pledge Class of the Beta Phi Chapter, were initiated into the brotherhood, officially reactivating the Chapter. 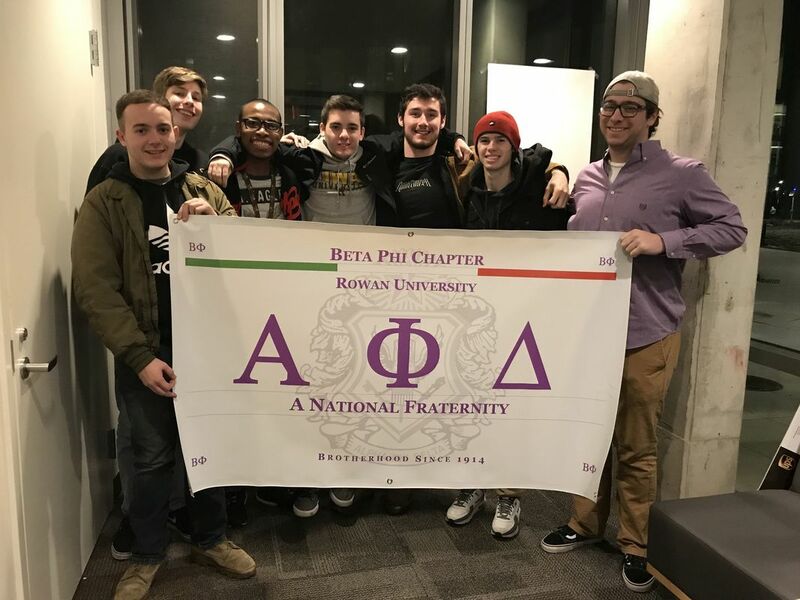 We congratulate Nicholas Amorebella, Matthew Berg, Michael Bergstrom, Tyler Davis, Davon Dickson, Brody Martinez, and Joseph Musumeci on joining the ranks of our great Fraternity. Faciamus!